This outpatient office is staffed by 3 seasoned clinicians, with combined over 57 years of exerience treating people for injuries, post-surgery and other conditions. You will be greeted by friendly office staff and become part of a "community" where the clinicians get to know you and how your injury/condition effects your life. This is a professional, but comfortable office where individualized care is given to each patient and the clinicians work together and provide direct care to everyone. Many of our patients come back to us to say "hello" because they are not just patients, but people who can make an impact in others' lives. If you have any questions, or for an appointment, please call Selina at 610-927-5183. SMPT accepts many insurances which are listed on the "Accepted Insurances" tab. 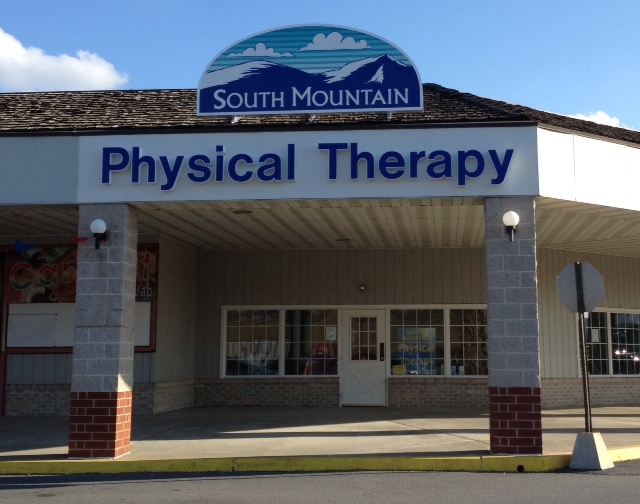 South Mountain PT is conveniently located in the Sinking Spring Plaza on Penn Ave.